If you had to pick the new Apple Watch Series 2 out of a lineup of existing Apple Watches, you'd be hard pressed to do so. It looks nearly identical to the first model that launched just 18 months ago. Even after tinkering around with the latest iteration, it's a challenge to identify what's actually new. But there's more to the Apple Watch's first major hardware upgrade than meets the eye. To start, the display is two times brighter, so you'll be able to read it better outside. It's also 50% faster than the previous version and it's finally waterproof. It's also become one of the smartest fitness trackers you can put on your wrist. The new Apple Watch is primarily focused on activity monitoring -- an area Apple says early adopters have praised most. But the smartwatch category in general hasn't taken off the way it once seemed destined to. Impressively, however, Apple has somehow managed to become the second most popular watchmaker in the world, even though Apple Watch sales were down 55% this year. That's second only to Rolex. While there's a solid collection of bells and whistles added to the latest Apple Watch, are the updates worth trading in your existing one? Certainly not. 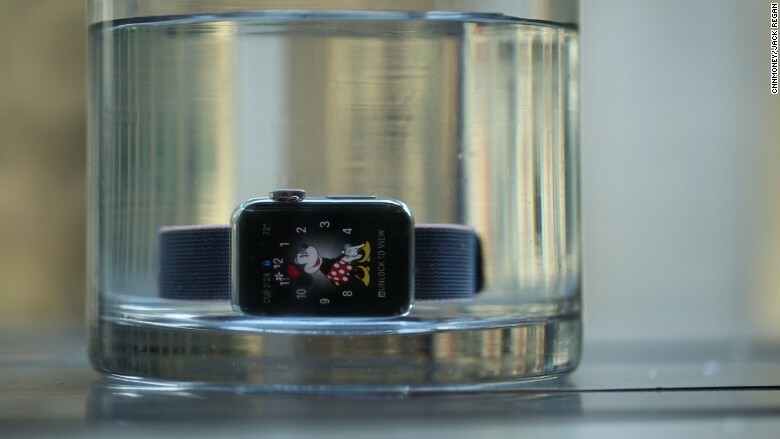 It does, however, give non-Apple Watch users more incentive than ever to buy one. The Apple Watch Series 2 comes with two main body options -- aluminum ($369) or stainless steel ($549) -- and can be paired with a variety of sporty, leather or nylon bands. Although Apple (AAPL) recently pulled the $10,000 gold Edition model from its lineup, it now has a sleek ceramic version ($1,299) to appeal to luxury shoppers. It's beautiful, but too much of an investment for a product that's bound to change soon. Apple also dropped the price of its Series 1 model with the aluminum casing to $269, but it's now equipped with the same powerful dual-core processor as the new watch. You can't take it for a swim, but the new software makes it a cheaper way to test drive some of the new features. Meanwhile, watchOS 3 is all about customization. There are new watch faces (and ways to personalize current ones), as well as iMessage Stickers integration, more notifications and fitness functionality. Sure, you can get calendar, email and text notifications -- and all of those come in handy -- but where the Series 2 succeeds most is the fitness tracking capabilities. Fitbit has long dominated the fitness tracker industry, but the Apple Watch can now do almost everything that Fitbit's top trackers can do, and so much more. Like the Fitbit Flex 2 ($150), you can take it in the pool, get your heart-rate data in real time, channel your breathing with a mindfulness app and track your routes via GPS. The Apple Watch's GPS integration is a great perk for runners who don't want to drag along an iPhone. Unlike other trackers with built-in GPS, the Apple Watch uses locally stored satellite data to quickly identify locations. It takes a bit longer to get this feature going on other trackers. Starting a workout is as easy as it gets -- in fact, you can ask Siri to do it for you. You can also decide which metrics you want to appear on the display, and workout data can be saved, labeled and sent to friends. 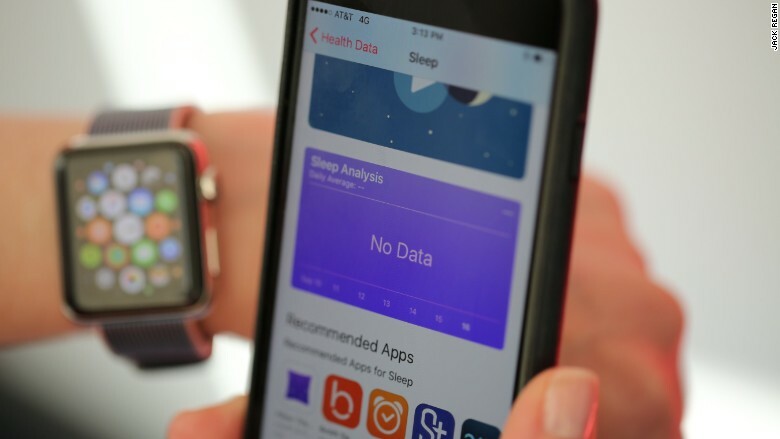 Where the Apple Watch falls short, however, is that it doesn't support built-in sleep tracking, one of the more popular features on standard Fitbits or Jawbones. Sleep data helps paint a full picture of your overall health and can identify why you might not be as rested the next day. It's strange Apple hasn't yet baked in this functionality, but various third-party apps such as Pillow or Sleep Cycle fill in the gaps. The downside is they'll drain your battery overnight. 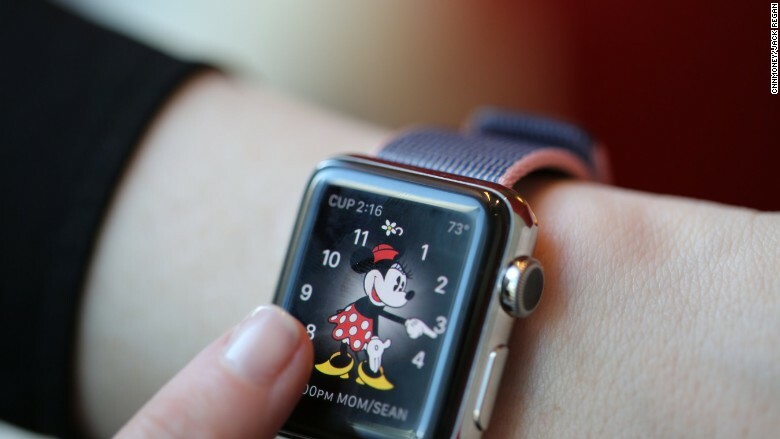 But unlike the Fitbit or other standard trackers, the Apple Watch still lets you make a dinner reservation on OpenTable, check your email and load up your JetBlue boarding pass. Whether or not it's worth splurging $200 more for these additions is up to you. Although you could technically wear the previous Apple Watch in the shower, the company has gone all in on calling the latest version waterproof. We dunked it in and out of water several times, and the promise held true. 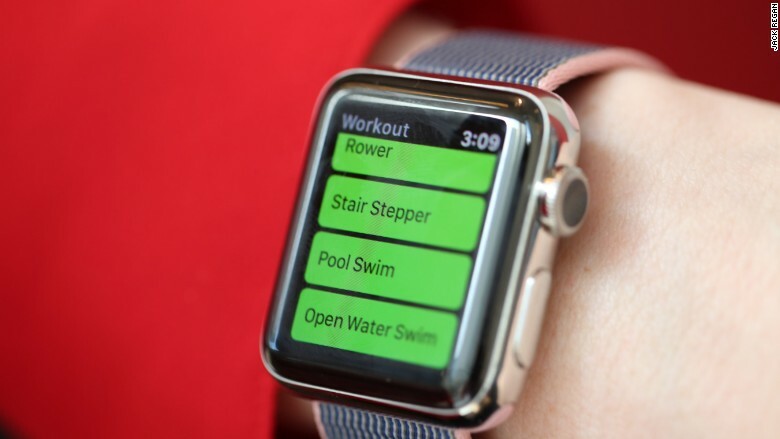 You don't need to switch on a special mode when it's bound for water, but there is a water lock display feature that can be used while you're swimming, so you don't accidentally hit the screen and stop a workout. 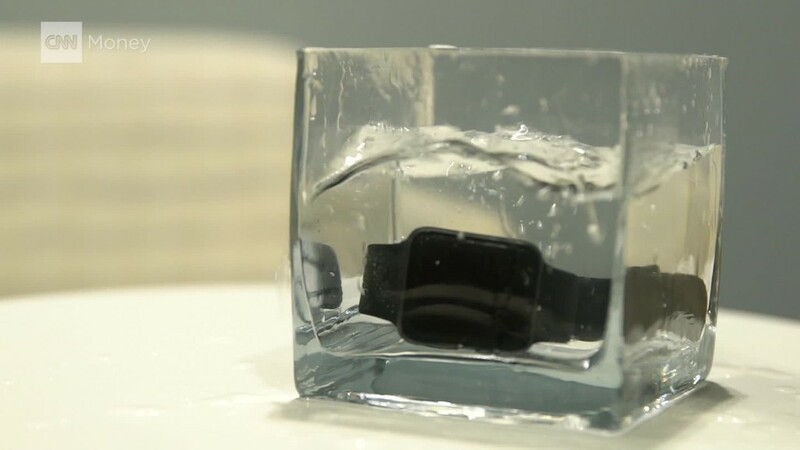 After it's removed from water, the watch will want to push out extraneous water collected through the two holes on its casing (the vent and the speaker). 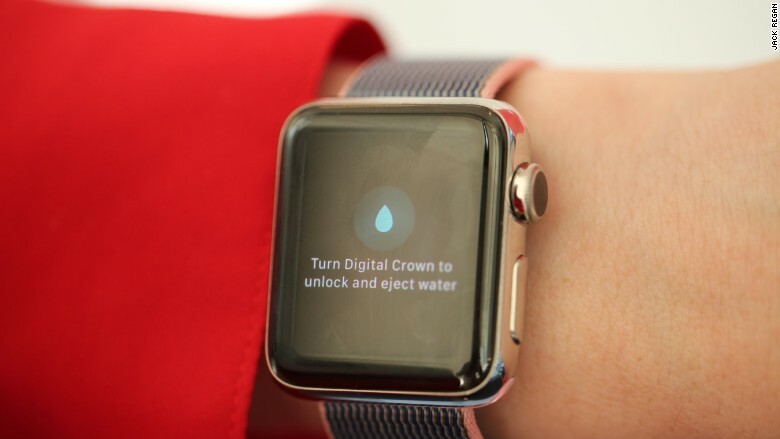 By pressing the water icon on the display, it'll make a series of droplet-like sounds and expel any moisture. While the device is definitely getting smarter, there's still some room for improvement. In addition to no sleep tracking, the Apple Watch Series 2 doesn't come with built-in internet connectivity, which means you'll need to keep your iPhone nearby. Apple reportedly planned to add cellular service to the latest watch but it was canned after running into development issues. 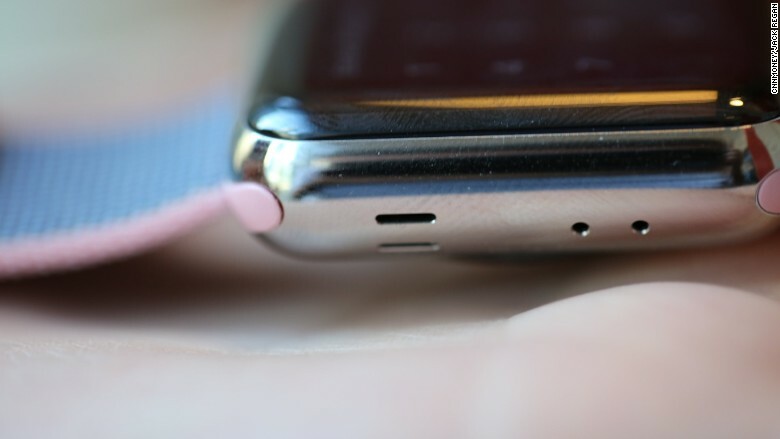 If the removal of the headphone jack on the latest iPhone is any indication, Apple's push toward an untethered future means we may get cellular connectivity on the Apple Watch Series 3. So should you buy an Apple Watch? It depends on what you're looking for. If you're solely focused on fitness, save your cash and go for a Fitbit. But for a one-stop-shop wearable -- one that lets you also stay on top of email, field calls and track your activity -- the Apple Watch is the way to go. That said, the Series 1 model -- now $100 cheaper -- is twice as fast as it once was and can run watchOS 3. Unless you're an active swimmer or serious runner, the Series 1 may be your best bet. Whether you decide to splurge for the Series or not, one thing is clear: the Apple Watch is finally getting closer to where it should have been all along.